He will strike your head, and you will strike his heel (v.15). Molly DeLuca was playing in her garden with the German shepherd her family had recently adopted. Suddenly, the canine leaped in front of her and began jumping up and down. He was protecting Molly from a rattlesnake that had slithered onto the scene. 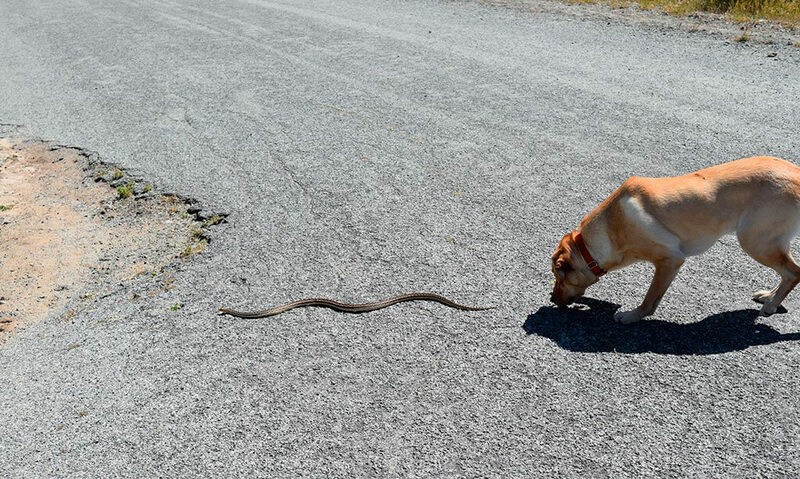 Later, the dog was rushed to the veterinarian where the family learned that he’d been bitten three times by the reptile. Amazingly, he made a complete recovery. When Eve encountered Satan disguised as a snake in the garden of Eden (Genesis 3:1), her body wasn’t poisoned by venom, but her mind was infected by Satan’s lies. She became convinced that satisfaction awaited her if she ignored what God said and ate the forbidden fruit. Eve took a bite and Adam followed her example (v.6). Later, when God confronted their sin, He spoke prophetically. To the snake, He said, “I will cause hostility between you and the woman, and between your offspring and her offspring. He will strike your head and you will strike his heel” (v.15). Thousands of years later, this prophecy came true when Jesus was crucified. He suffered temporarily, but His resurrection permanently broke “the power of the devil, who had the power of death” (Hebrews 2:14). Unfortunately, Satan still has some power. Like a snake in the grass, he strikes by tempting us. If he’s successful, he swaggers up in front of God and accuses us of our sin. Jesus, however, intervenes and stands up for His followers (1 John 2:1-2). He comes to our rescue, declaring that His blood has already paid for our sin. Satan’s accusations are dispelled by God and His power. We’re safe forever in Him—our Protector who is alive and well! Read Romans 16:20. Think about who gives believers victory over the one who tempts and troubles us. Consider what happens in the spiritual world as a result of sin in the physical world. How does this affect your view of temptation and sin?